SOTA News 2006 SOTA Instruments Inc.
We just ran out of stock on the Bio Tuner Model BT7. We expect to have new stock by end of January 2007. The new Bio Tuner will have Conductive Ear-Clips instead of the Headset. Please note we are taking back Orders for the Bio Tuner, so please contact us if you wish to place a Back Order. We just approved the final plastic enclosure for the LightWorks, as well as the Hand Paddle. The next step is going into production ASAP. We are very happy with the look of the unit. We hope you will love it as much as we do. The enclosure for the new WOZ has been designed, the pump and ozone tube are approved and have completed their long-term testing. The preliminary testing for CE, a European standard, showed that the WOZ needs more adjustments in order to be more “quiet” in terms of EMR’s (electro-magnetic radiation). We are working with a consultant on this … in the past it is often the placement of the parts that needs to be adjusted in order to create less EMR’s. Hopefully this process won’t take too long. MP5’s are now back in stock and shipping as we speak. These units are CE certified. We have just completed the Public Site, Phase 1 of our new website, and have uploaded it to the web. This is an important day for us at SOTA as we usher in a new chapter. Phase 2 will bring to you the highly anticipated SOTA Private Community. We are working on Phase 2 now and will introduce it as soon as humanly possible! This is the unit so many of you have been asking about. We are putting finishing touches on the LightWorks LED Light Unit in preparation for manufacturing. Since we are very close to completion, we are currently taking advanced orders for the new LightWorks unit and are offering special pricing until January 2007 of only $250 US. Retail price will be $295 US. We expect to ship LightWorks in the spring of 2007. Our long-term air pump and ozone tube tests have been proceeding quite well. The air pumps are rated at 500 hours continuous usage. So far we have logged about 720 hours on the pumps before the diaphragm weakened and the pump stopped pumping air at the design flow rate. As for the ozone tubes about 1,500 hours have been tested so far with no problems or degradation whatsoever. 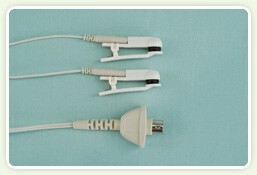 We will be making the unit so that the air pump can easily be changed by Customers. We sold out far earlier than expected of our current stock of the Magnetic Pulser. This means we will be out of stock until our new batch of the MP5’s arrive. We are very sorry for this inconvenience. We have created PDF files to assist you in trouble shooting any of our units. The Trouble Shooting Guide can be checked or downloaded from our website. Our Magnetic Pulser passed CE testing. We are very excited about this development. We will be incorporating the changes necessary on our next run. We will let you know when the CE certified units are available. We have contracted with a company to design our new website. We have decided to first work on the Public Area of our website and get that operational with links to our original website. If all goes well the public portion of the SOTA website could be launched in late August 2006. Due to increases in world prices of precious metals and plastic coupled with fluctuating currency exchange rates, we have had to increase the cost of our units and accessories. We thank you for your understanding. Many of you know and ask for Victor. For several years he has been a very dear and valued team member. At this time, Victor is exploring new avenues. He keeps in touch with us regularly as he is a personal friend. We miss his warm and caring ways in the office and wish him well with any and all new ventures. Good news. Our latest model of the LightWorks unit has just passed CE certification. CE is a regulatory body that ensures products are safe to use and do not output hazardous levels of EMRs (electro-magnetic radiation, like cellular phones do). We really appreciate and thank you for your patience and support over the last several years. As a result of government scrutiny and our battles with regulators, we had to drastically cut back on the information we could share with you. We are grateful for the incredible support we have received from so many of you through these times. We had originally planned to have the LightWorks ready to ship last October. Our desire to have this product “Made in Canada” has created major delays as the tool and enclosure manufacturer in Canada has been unable to meet our quality standards. This has caused almost a year delay in the process to bring this unit to market. We have had to start the tooling process from the beginning—this time in China. We are excited about the unit as it will offer the latest advances in both light and electromagnetic frequencies. We hope to have this unit ready in 2006 but it may not be ready until 2007. We will keep you informed of progress. We are offering our carrying cases at reduced prices. The carrying cases for small units are now available for $3.00 US and the large ones for $5.00 US.